When I arrived home from work yesterday my mail box was practically bursting with the bulk of a magazine delivery from distant shores as the Winter edition of Knitscene had made its long trip across the Atlantic and into my hands. 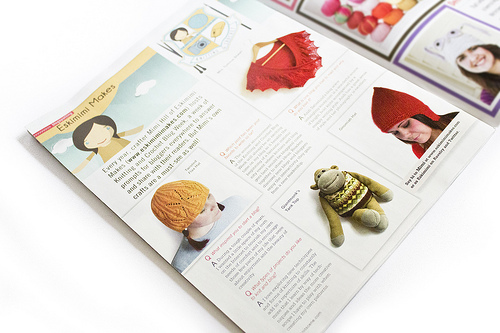 These were exciting times because not only was it a magazine I had never had the pleasure of leafing through before but it also carried the following article on this fabulous little website called Eskimimi Makes. Yes, Giantmonk is one of the two most lovely things in my life (the other is Mr Awesome) and he is an absolutely perfect cuddle for the happiest times and the saddest times. 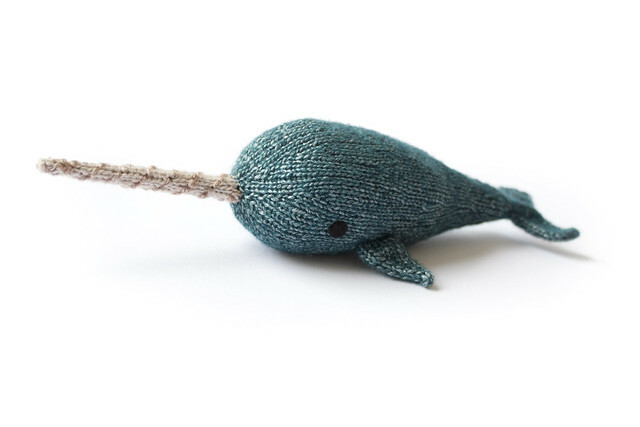 Many people have asked if I knitted him myself, and I did not. He is in fact well known to British television viewers first as the face of ITV Digital and now the suave and intelligent personality behind PG Tips tea bags (and that kind of epitomises his importance, tea being such a vital part of life over here). 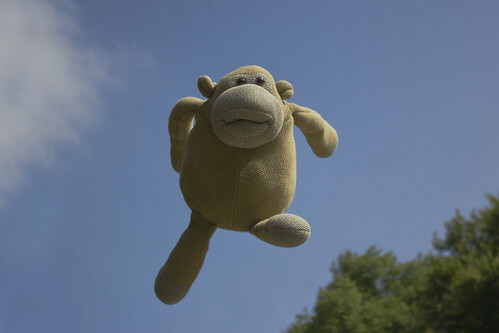 PG Tips monkeys are available to buy, both in Giant and much smaller form, but in the very early days of Giantmonk’s ancestors, ITV Digital did release a free pattern for people to knit their very own ITV Digital mascot monkey. There have been many modifications and additions to the pattern added by helpful users, so if you ever wanted to knit your own Giantmonk cousin, you may just be able to. 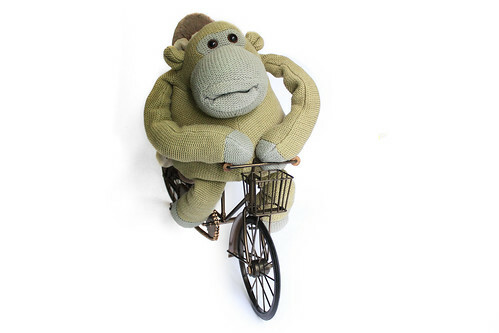 I would thoroughly recommend that anyone who does knit their own Giantmonk chum make sure that they add bags of poly-pellet beans to his bottom, hands and feet, as these weighty hands on the end of long monkey arms that can be thrown over your shoulders for hugs are the best, most comforting thing in the world. In the picture above you will see that there have in fact been two Giantmonks, and I have knitted each his own individual tank top with its own patterning and colours. 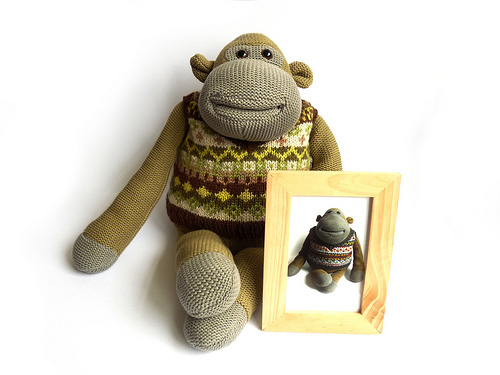 The first Giantmonk and his snazzy knitwear are sadly no longer with me, and you can read part of the story of how Giantmonk came to say hello after I had missed Giantmonk cuddles for so long in this post from last year: Giantmonk’s Tank-oo Too Top. One day soon I may ask Giantmonk to take over the blog for the day to do a Q&A session. Also, if I ever knit Giantmonk another new tank top I promise I will write the pattern down, and I am sorry I couldn’t have been more help in regards to this to all those that have asked. Thanks again for stopping by the blog – from both me and Giantmonk. Congratulations again! I’m really flattered that you recommended my blog. I never knew Giantmonk’s origin story. I’d love to see a Giantmonk Q&A. 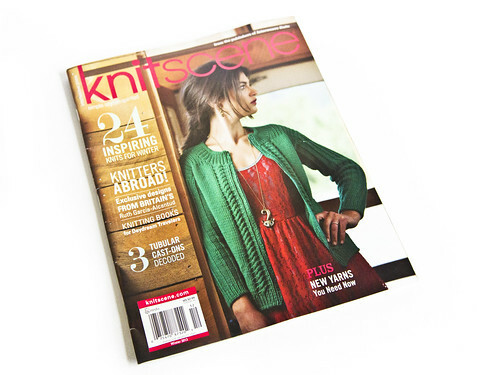 Have been enjoying your blog for some time now, and I was happy to see your feature in Knitscene a couple weeks ago in the U.S.!